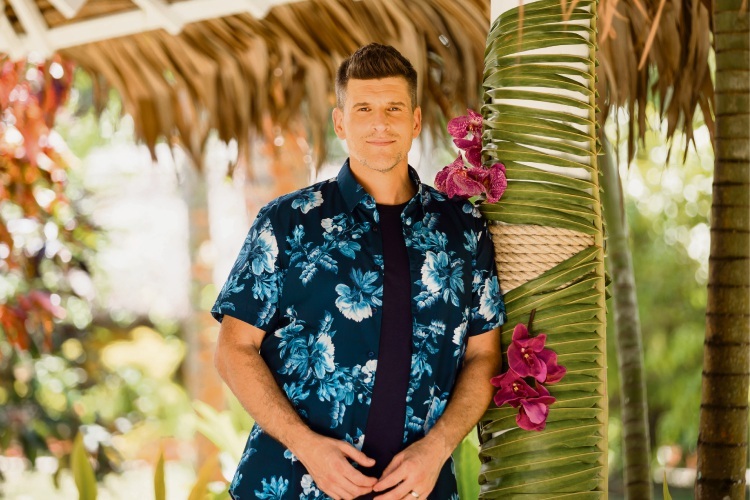 HOTLY anticipated new series Bachelor in Paradise Australia is like the last eight songs of a Foo Fighters concert, according to TV cupid and all-round nice guy, Osher Gunsberg. “It has hit after hit: every time the doors to paradise open, another one of your favourite former contestants appears and you go: ‘Oh, I really liked her,’ or: ‘Oh, I really liked him, I hope they find someone to cuddle’ and: ‘Oh, wouldn’t they make a good match,” he said. Launching on to the screen this Sunday , much to the delight of ‘reality’ TV diehards sad to see the back of Married at First Sight, the Bachie spin-off sees the return of darlings like Tara Pavlovic, villains like Perth’s Blake Colman, and a few faces that are barely recognisable: Ali Oetjen? But one rejected contender has truly stolen Gunsberg’s heart, green thumb and Sophie Monk devotee, Jarrod Woodgate. “They are all my favourites but Jarrod particularly so because he is such a brave guy. He just fearlessly lives his life out in the open and he’s a really special guy; a special man who put it all out there,” the Sydney TV host said. “I don’t know if many people would be brave enough to live their life so emotionally raw as Jarrod does. Like the younger raunchier sister of The Bachelor, and set in the lusty surrounds of a Fijian fantasy, the series promises plenty of passion. So just how hot and heavy will it get? “We’ve got a 7.30pm timeslot so we had to make a 7.30pm timeslot show, however, we’re all adults,” Gunsberg teased. Gunsberg found his own slice of love on The Bachelor in 2014, last year marrying the program’s make-up artist, Audrey Griffen. “I met her on the Blake Garvey second season – that was one relationship that lasted from that season,” he joked.